The First Judicial District Commission on Judicial Performance unanimously recommends that Judge Bradley Allen Burback BE RETAINED. Judge Burback received his BA degree from Colorado State University and his law degree from the University of Baltimore School of Law. He was appointed to the Jefferson County Court in 2008. Before his appointment to the court, Judge Burback was a Deputy District Attorney for the First Judicial District and a District Court Magistrate for the First Judicial District. Judge Burback previously served as a judge advocate in the U.S. Navy. His community service includes volunteering with Operation Standby, a pro bono American Bar Association project to assist U.S. military members and their dependents with legal issues. He serves as an alternate member of the Jefferson County Corrections Board, served as a judge for the 2015 Regional High School Mock Trial Competition, and served as a judge for the First Judicial District Attorney’s Office Citizen’s Academy moot court session. Judge Burback is a member of the Colorado Supreme Court Committee on Criminal Jury Instructions. He has also volunteered as a Sunday school teacher and a Cub Scout den leader. The Commission observed Judge Burback in the courtroom, reviewed decisions, survey results, the Judge’s self-evaluation and case management reports, considered information from other interested parties, and conducted a personal interview. Fifty-six attorneys and sixty-seven non-attorneys completed judicial performance surveys sent to individuals identified as having experience before Judge Burback in 2015 -2016. In the 2016 Final Survey Report, 80% of attorneys recommend Judge Burback be retained, 9% recommend not to retain, and 11% made no recommendation. Of non-attorneys completing surveys, 91% recommend Judge Burback be retained, 4% recommend not to retain, and 4% made no recommendation. (The totals do not add up to 100% due to rounding). Judge Burback presides over a mixed docket which includes Misdemeanor, Traffic, Criminal, and Civil cases. 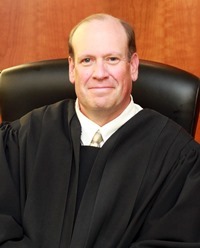 Judge Burback is regarded as an excellent communicator who runs an efficient court, treats all parties with great respect, correctly and consistently applies the law, sets judgments and sentences fairly, and shows no bias for either the prosecution or the defense. He is effective communicating with defendants who represent themselves without a lawyer and with assisting young lawyers. He approaches his judgeship thoughtfully and performs his duties seriously.